Hi, I’m Lior. I’m a qualified biologist, nutritionist, naturopath , the founder of this site, and an insatiably curious human being! One of the biggest passions in my life is getting to the root causes behind: why we do the things we do; why we feel the way we feel; and then using that knowledge to lift people up into a more aware, healthier* and happier state. Q. How do I get you to answer a question I’ve been wondering about? Alternatively you can post a question on the saywhydoi.com facebook fan page wall. Q. Who draws the cartoons you use? A. 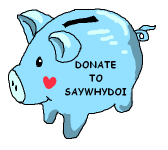 All of the cartoons with the saywhydoi.com logo on them are by me. I use Paint.NET and a Wacom Tablet . Many of the other images on this site are from our affiliated sites Zazzle and allposters.com. Q. Which resources do you use to answer the questions? A. I use a wide array of resources, from journals and books to the Internet. My best efforts are invested to assure the information posted here at SayWhyDoI.com is as accurate as possible. If you see something that you think needs changing let me know via comment or e-mail. This site is working in affiliation with Amazon.com, Zazzle and allposters.com. If you like a product that was recommended or linked to anywhere on this website, please consider buying these products via the links on this site to help keep this website running. If you enjoy saywhydoi.com feel free to use the button below. I really appreciate your support! * Understanding is particularly important when it comes to my field of expertise, health. In some of the health articles on saywhydoi.com you’ll find some nutritional suggestions and I think it’s important for me to mention that whilst sometimes nutritional deficiencies or imbalances are the root cause behind certain health issues, at other times, such imbalances are the side effect of something deeper that often has a psychological allignment origin. In the latter cases, though nutritional supplements and other medicinal treatments may help, they are usually patch-treatments that won’t treat the root cause. In the vast majority of cases, I strongly agree with Dr Richardson, who said: “My many years of practice convinced me that the only real value patients receive from a treatment was through their understanding of helping themselves and knowing that no physician could help them so long as they continued the habits that originally produced their condition”. I just wanted to say, I really like what you have acquired here. You make it entertaining and you still take care of to keep it educational. I can’t wait to read much more from you. This is really a great web site. Just wanted to say I found your site and think it’s great! There’s some really tremendous work you’ve done on the articles here. Keep it up! Hola! I’ve been reading your web site for a while now and finally got the courage to go ahead and give you a shout out from Humble Tx! Just wanted to say keep up the good job! 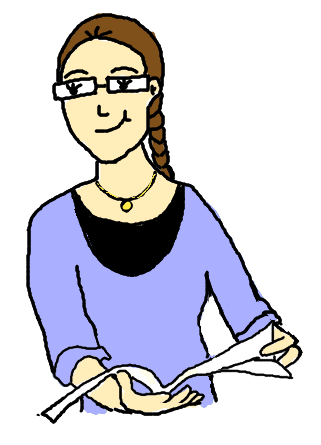 Hey Max here, Really like your website and I have gone ahead and even linked this to it at the “sites we like” area of my website online so some readers can see the it too.